You need 8 000 / 12 000 Honored with the Nightfallen to gain acess to Court of Stars and The Arcway. Beyond that, rep isn't worth farming unless you're going for the pet: Olho Extinto, toy: Máscara de Festa Feita em Casa, professions recepies or the 850 Shoulders. 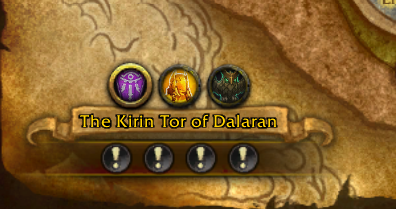 In case you're like me, on your alt and having a bit of a senior moment, forgetting how exactly you start questing with this faction... it's A descoberta de Hadggar, in the Violet Citadel in Dalaran. You can't just rock up in the zone and start dealing crystal meth ancient mana to Nightfallen. Esses elfos Filhos da Noite exilados sofrem de abstinência ao serem separados da Nascente da Noite. Eles são contra a aliança de seu povo com a Legião e lutam por algum tipo de redenção.